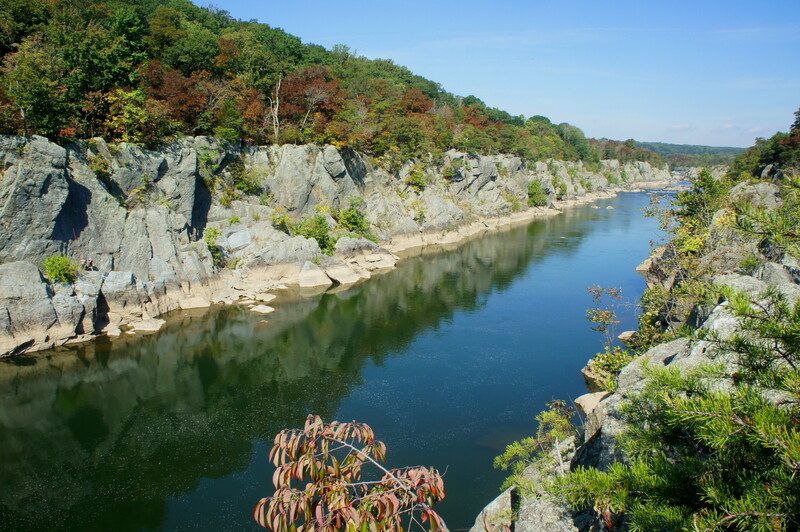 Many Washington, DC residents will know the Billy Goat Trail of Great Falls, Maryland; despite having three parts—Sections A, B, and C—the first is by far the most popular and iconic. 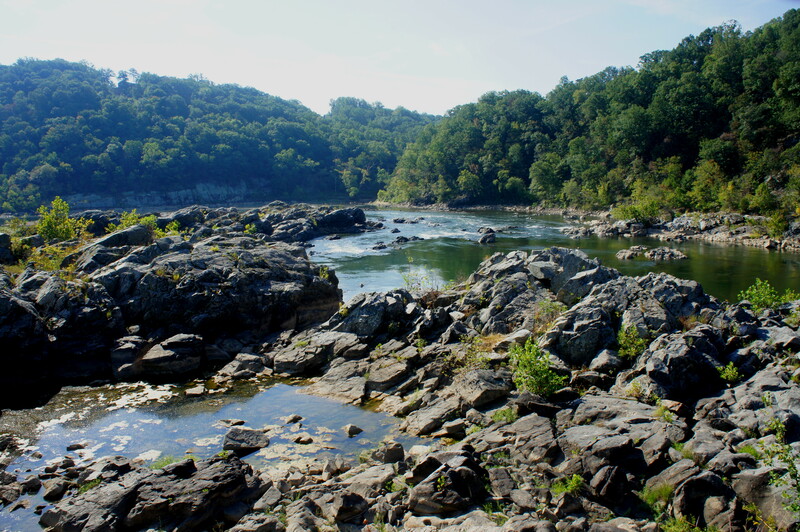 While teeming with visitors on a nice summer day, Section A has a tremendous upside for hikers seeking a challenge within a half hour’s drive of the District: rocky, rugged terrain and terrific vistas of the Potomac River as it squeezes through Mather Gorge. Start early to elude the crowds, and avoid hiking the slippery path following a rainstorm. 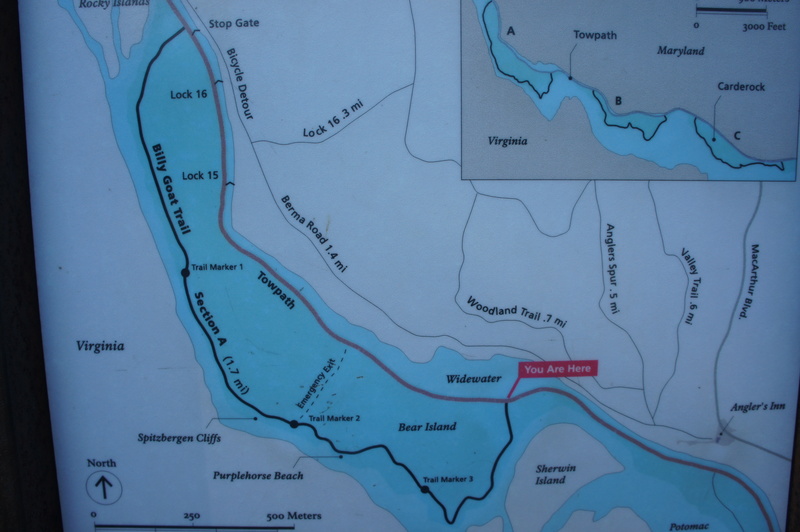 To reach the Billy Goat Trail requires a short jaunt on the Cumberland and Ohio (C&O) Canal Towpath Trail, best accessed from either the Great Falls Tavern Visitor Center or the slightly less-crowded Anglers Trailhead (15-20 miles northeast of Washington, DC). Both are likely to be packed on a warm Saturday or Sunday. While most existing trail descriptions use Great Falls Tavern as the start, Anglers offers a potentially less crowded alternative. From the Anglers parking area, bear southwest downhill toward the canal—through a second parking lot—to a large interpretive sign displaying maps of the Great Falls area and beyond. Bear left and cross a bridge spanning the channel, then turn right onto the Towpath Trail. 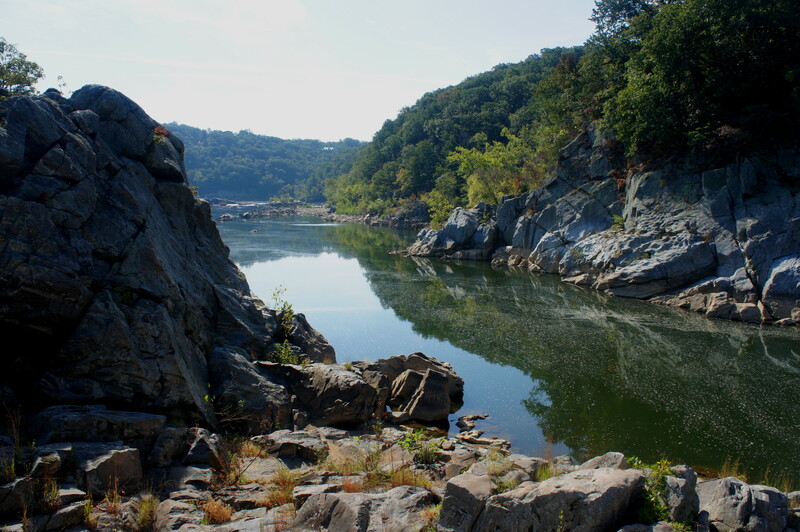 From here, it is around ½ mile to the southern terminus of the Billy Goat Trail. 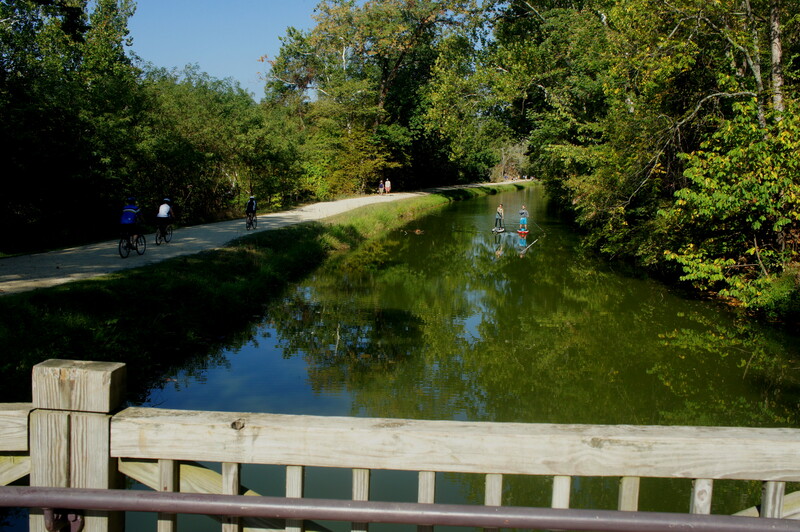 Along the way, enjoy one of the prettiest sections of the C&O Canal—Widewater, a broad pool bounded to the north by craggy greywacke, the predominant rock type in the area. The entrance to the Billy Goat Trail is guarded by another large interpretive sign, this one warning of the “strenuous” hike ahead. 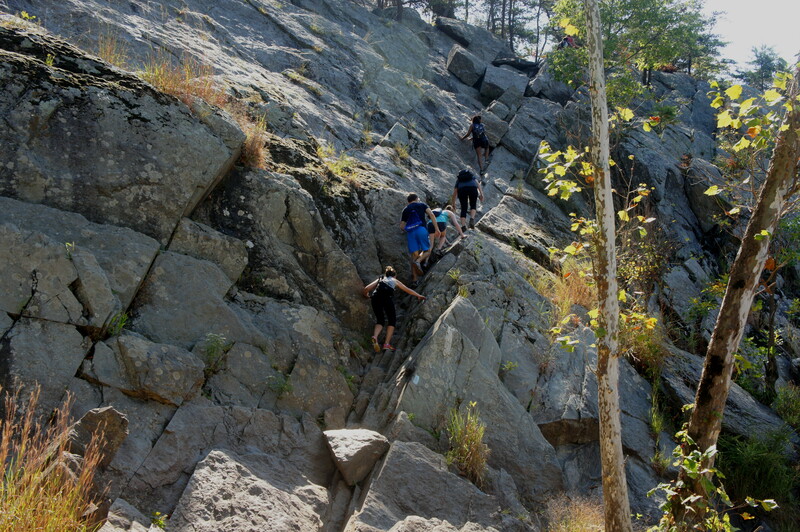 (Note: The craggy Billy Goat Trail requires sure footing, but is not extremely steep or difficult.) Nearly immediately the spiny rocks become apparent, especially as the trail drops down to cross a minor streambed (sometimes flowing, but often not). Careful balance and traction are needed to traverse the trail’s many obstructions. 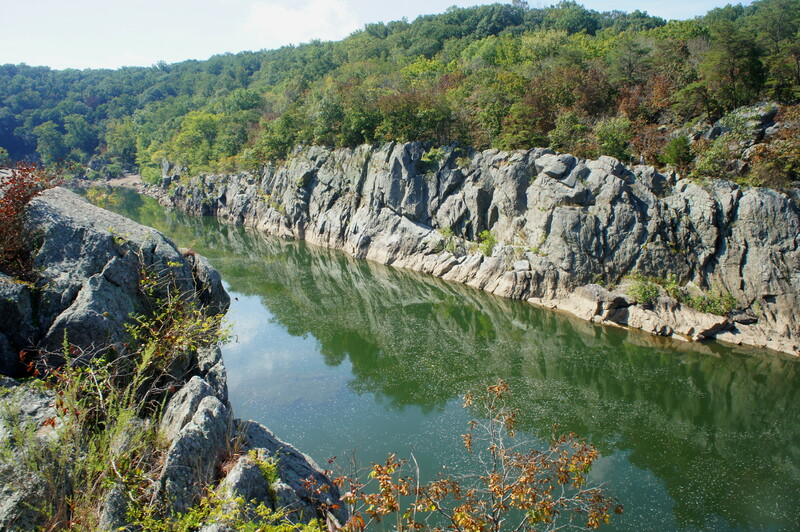 A little over 1/3 mile from the start of the Billy Goat route, the path crests a stony outcrop offering an excellent vantage point of the Potomac River. Opposite the waterway lies the state of Virginia—more precisely Great Falls Park—as well as the mouth of Difficult Run, a significant tributary. Beyond the viewpoint, the trail weaves in and out of clusters of graywacke to trail marker 3, roughly ½ mile from the start. Just beyond the marker is a minor creek crossing; a small wooden bridge offer passage. Shortly past the bridge, the route curves westward around a murky pond—on a blissful day in September, we spotted several small turtles here. 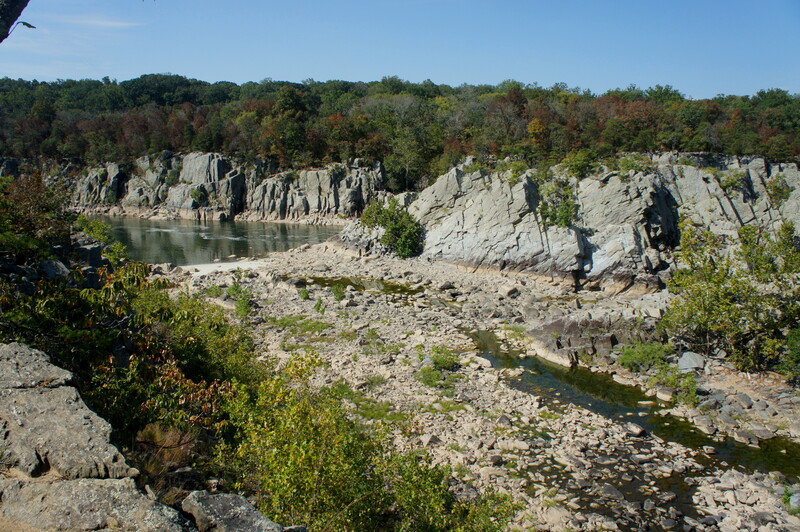 The next attraction is Purple Horse Beach, which lacks sand but offers relatively easy access to the Potomac, as well as opportunities for climbing or bouldering. The next section is the most interesting, but also the toughest. Immediately after skirting the beach, the route edges up and over an uneven notch in the rocks, then drops to trail marker 2. Here an “emergency exit” route provides an escape route back to the Towpath for those flabbergasted by the unforgiving terrain. The Billy Goat’s famous 50-foot traverse lies not far beyond—here the trail descends a diagonal crack in the canyon wall, an obstacle that requires caution—and patience, as it is a bottleneck for hikers—but not tremendous climbing skill. Most will not have too much problem with the downhill climb, which looks far more intimidating than it is. While far less steep, the rocky terrain does not cease beyond the 50-foot traverse. Fifteen to twenty minutes from the bottom of the crack (and after trail marker 1), the Billy Goat route follows a spiny ridgeline paralleling the Potomac, featuring terrific views up Mather Gorge toward Great Falls. Less than ¼ mile from the end of the trail, the rocky topography eases, giving way to a smooth, dusty pathway as the route rounds a corner away from the Potomac. Around 1.7 miles from the beginning, the trail returns to the Towpath—about 1 ½ mile northwest of Anglers. The return journey is pleasant enough, passing a covered bridge, two old canal locks, and the glistening Widewater pool. 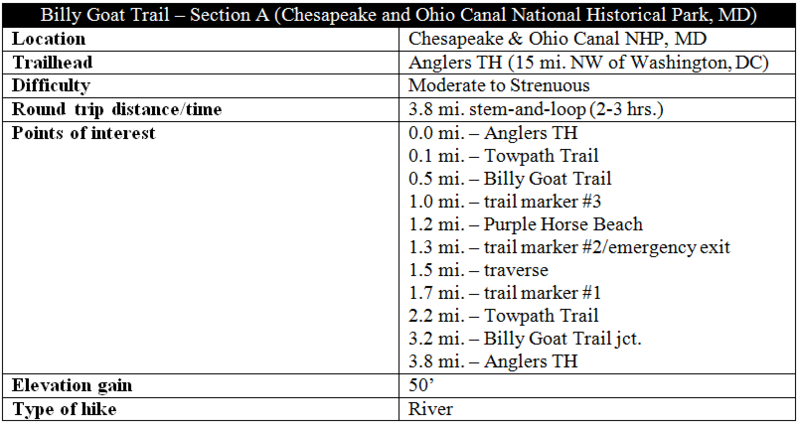 This entry was posted in Chesapeake and Ohio Canal National Historical Park, Maryland, Moderate Hikes and tagged Anglers, Billy Goat Trail, Billy Goat Trail Section A, C&O Canal, Chesapeake and Ohio Canal, Maryland, Mather Gorge, Potomac River, Purple Horse Beach, Towpath Trail, Widewater. Bookmark the permalink.